Among the rubbish removal with the worst consequences for aquatic wildlife are ghost nets. These are plastic fishing nets that are discarded by fishermen, cut lose when entangled, or simply lost. Some of these ghost nets float around in the open ocean pelagic zone like killing monsters in a horror movie. They ensnare and kill dolphins, sea turtles, whales, sharks, fish, diving seabirds, dugongs, manatees, and many other beautiful sea creatures that have a special bond with humans. They’ve even been known to kill human scuba divers! 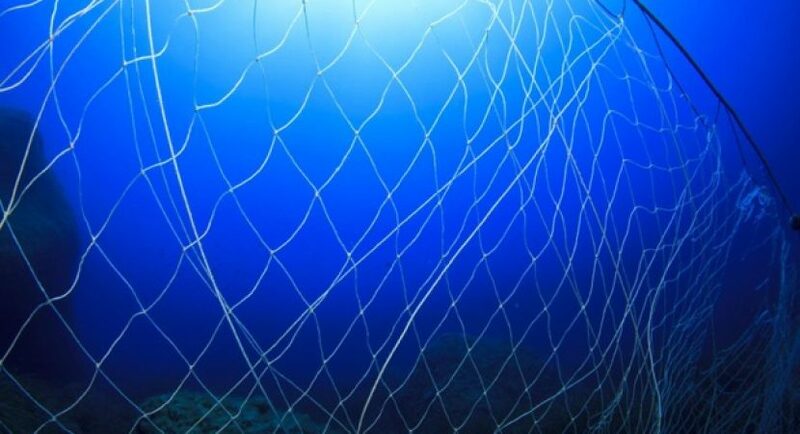 Other ghost nets end up entangled on coral reefs, or rocky reefs, killing the sessile sea creatures that attach themselves to the hard substrate of reefs. These creatures don’t stand any chance of surviving the rubbish removal net invasion because they can’t move to escape the invasion. The plastic net brushes over the surfaces with every wave action and literally scrapes away the sessile creatures and kills them in the process. Kelly Slater, an eleven time world surfing champion, decided to do something positive to remove these rubbish removal ghost nets, that are essentially killing monsters in the sea. He approached an Italian company called Aquafil about partnering to spin clothing fibres, which they call Econyl, from these abandoned ghost nets. They agreed to the partnership and a new line of men’s clothing called “Evolution Series” was born. There are an estimated six hundred forty thousand ghost nets killing sea life every day! Another partner in Kelly Slater’s vision is a Dutch charity called the Healthy Seas Initiative. They round up volunteer scuba divers to find these ghost nets, detangle them, and bring them to the surface so they can be processed into first fibres and then woven into clothing. The most amazing thing about this new line of clothing made from ghost nets and old carpet fibres is that it can be infinitely recycled! Once the clothing wears out, it can be fairly easily broken down into the basic fibres and used to make a new version of the same garment or a totally different garment. However, since these clothes are made from long-lasting synthetic materials, they won’t wear out easily. In fact, they are perfectly rugged for outdoor activities. You’d never know from looking at the Evolution line of clothing that it was made from rubbish removal rescued from the sea! It’s very stylish clothing that anyone would be proud to wear. There are a variety of shorts, shirt jackets, and quilted shirt jackets. They are moderately priced for high quality clothing. Now, here’s an ironic twist. Nets used on fish farms are evidently coated with copper oxide to prevent them from being overgrown with algae. This chemical coating renders them unusable for this project. Hopefully, a solution will be found to include these fish farm nets into the Evolution line of clothing. Fishermen are beginning to donate nets they no longer need to the project. This is a vast improvement over casting them overboard to become wildlife eating monsters! What many members of the public don’t realize is that many fishermen are quite conservation minded even though they may not refer to themselves as conservationists. They want to see their fishery sustainable, especially since the profession is often passed down generation after generation. They also come to love the other sea creatures they encounter while working their nets. Therefore, it makes perfect sense that fishermen would want to give their old nets a more meaningful purpose than an animal killing rubbish removal ghost net! Internationally, it is estimated that approximately ten percent of the rubbish removal in the ocean are ghost nets and other ghost fishing equipment. This is why efforts like the one started by Kelly Slater is so important. He’s lending not only his vision but also his famed name to the effort and that makes makes it less risky for companies to put money and resources toward creating his line of rubbish removal clothing. They know that people will be more motivated to buy it if it is the vision of a legendary surfer. Another entrepreneur that has amazing vision in the area of repurposing rubbish removal into something far more useful is Daniel Long. He is the founder of a large rubbish removal company in the UK called Clearabee. They collect waste removal from residences and businesses and then find a way to divert more than ninety percent of this rubbish from landfills. They do this through an elaborate database and program they’ve set up so they make it easier for their employees to take the rubbish collected to places that can repurpose it.